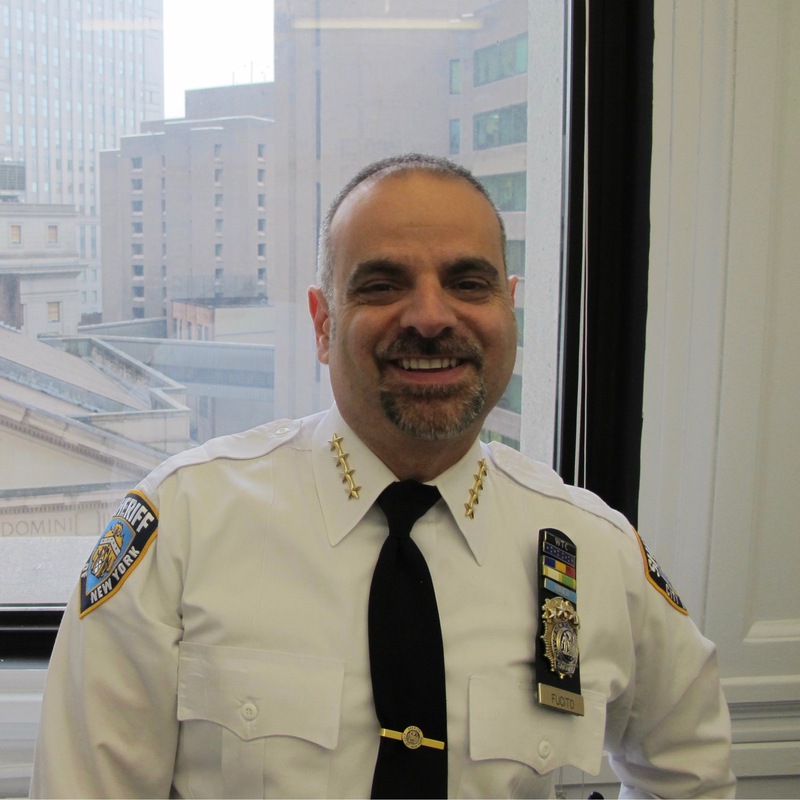 Joseph Fucito is head of the Office of Sheriff of the City of New York, overseeing the civil and criminal law enforcement services provided to City and State courts, the New York City Department of Finance, other government agencies and the public. Joseph, who joined the Department as Deputy Sheriff in 1988 at 18, was the youngest in the Department’s history and in his tenure, has served under five administrations, beginning with Edward I. Koch. A native of the Morris Park Section of the Bronx, Joseph holds a BA in English from Queens College CUNY, and is a graduate of the FBI National Academy, 236th Session. He has held all uniform ranks in the agency: Deputy, Sergeant, Lieutenant, Undersheriff, and Undersheriff in Charge (his most recent position) as well as Acting Sheriff in 2010 and 2014. He has also worked for the Federal Bureau of Investigation and the NYS Department of Transportation. For all his efforts to support and enforce the legal processes of New York City and New York State Joseph has received numerous service citations, including the Sheriff’s WTC 911 Award. In his more than two decades with the Sheriff’s department, Joseph has made numerous arrests and executed court orders for a range of major cases in New York City. Among them was the arrest of disbarred attorney Kenneth Heller, who was eventually convicted of personal tax evasion hiding over $26 million in a Swiss Bank account. In 2005, Joseph arrested Roger Toussaint, former President of Transport Workers Union (TWU) Local 100, for violation of the New York State Taylor Law for perpetuating the 2005 NYC Transit Strike. Joseph established the H.R.A Family Court Unit within the Sheriff’s Office, in an effort to better recover child support.